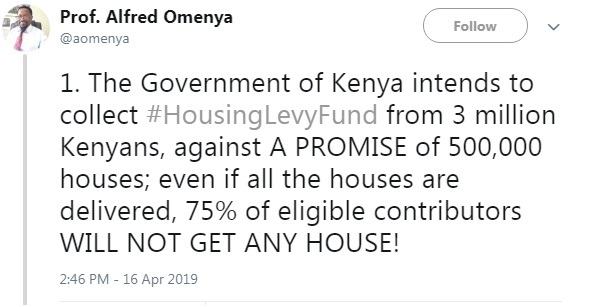 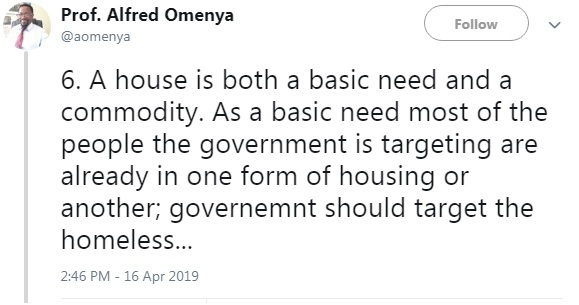 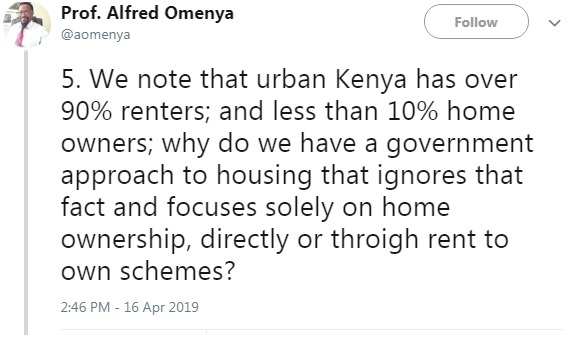 Wednesday, April 17, 2019 - Kenyans have opposed the introduction of Housing Fund Levy that will see employed persons deducted 1.5 per cent of their net salaries every month. 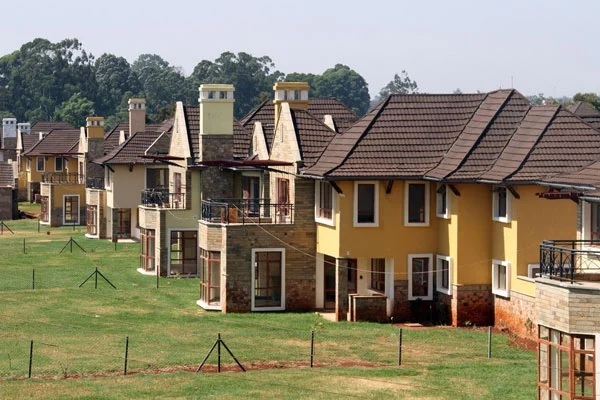 The directive was to take effect this month but the court has issued a temporary injunction until May 20th. 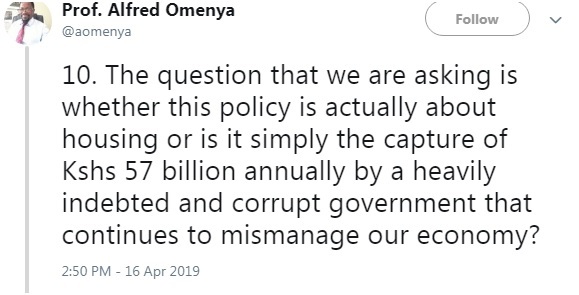 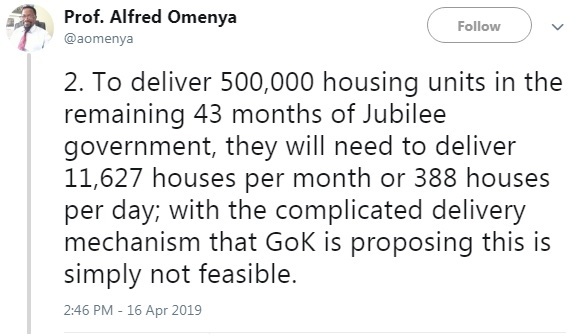 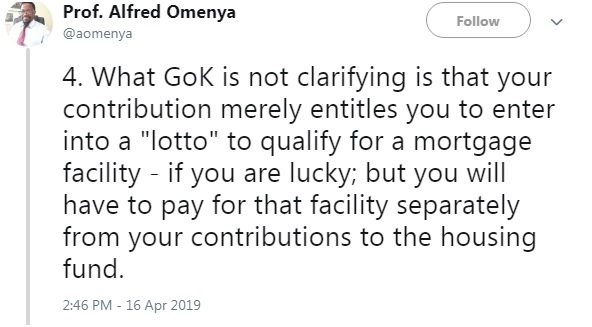 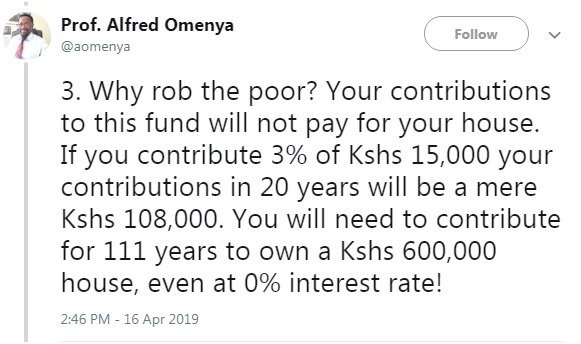 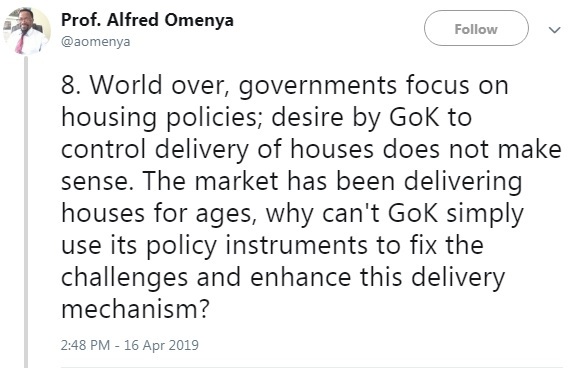 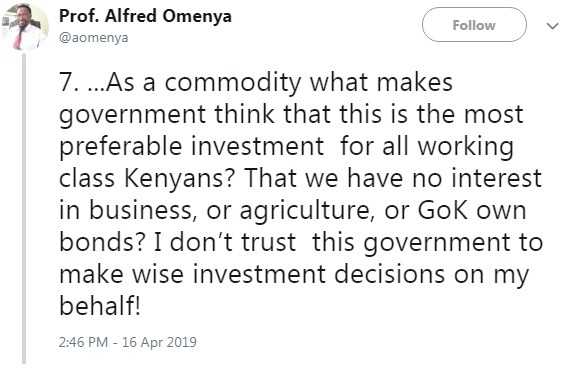 To put this into perspective, Professor Afred Omenya has broken down the numbers and revealed why this is yet another scheme by the powers that be to steal from an already heavily taxed Kenyans.